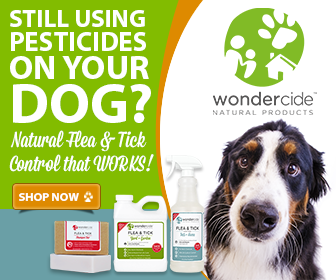 (Austin, Texas) The makers of the curiously effective Flea & Tick Pets + Home spray, Wondercide, will bring their mission of expanding the company’s retail reach to the premier event for pet retailers across the country, SuperZoo, August 2-4, 2016 at the Mandalay Bay in Las Vegas. The event, which drew over 15,000 attendees in 2015, provides an exciting opportunity for groomers, retailers and distributors alike to preview the industry’s hottest new items. Wondercide will feature three new products during the show: Flea & Tick Control for Pets + Home in Fresh Rosemary fragrance, joining the product’s other two scents, Fresh Cedar and Fresh Lemongrass; DETOX Ultra-Pure Bentonite Clay for dogs and cats, which promotes a healthy immune system; and Ready-to-Use Flea & Tick Control Yard + Garden–the same great formula thousands have come to love, now available in a convenient, ready-to-use bottle. In addition to the product showcase, SuperZoo will offer over 80 learning sessions–more than two times the education programs of other pet retail events, and a competitive grooming contest. Don’t miss your chance to see Wondercide on a shelf near you! 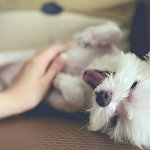 Call or stop by your favorite independent pet retailer today and tell them to visit Wondercide at booth #4001, or, drop their name in the comments below and we’ll reach out on your behalf. Wondercide develops innovative natural alternatives to conventional pesticides and other toxins used on pets, people and property. Our natural products protect and care for families and the places they live, learn, work and play. We take a holistic approach to consumer product development by using natural, USA-sourced, sustainable ingredients and innovative, low-impact manufacturing processes. 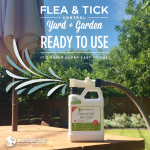 Our complete line of curiously effective natural products includes flea and tick control for pets, home and lawn, personal insect repellent, as well as skin care, shampoos, supplements, treats, and toys for pets. Wondercide is available online at wondercide.com, and at hundreds of independent retailers nationwide. 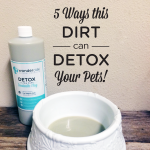 5 Ways This Dirt Can DETOX Your Pets!